Anne-Sophie Pic is one of the top chefs in the world, certainly one of the top female chefs...of which there are far too few. 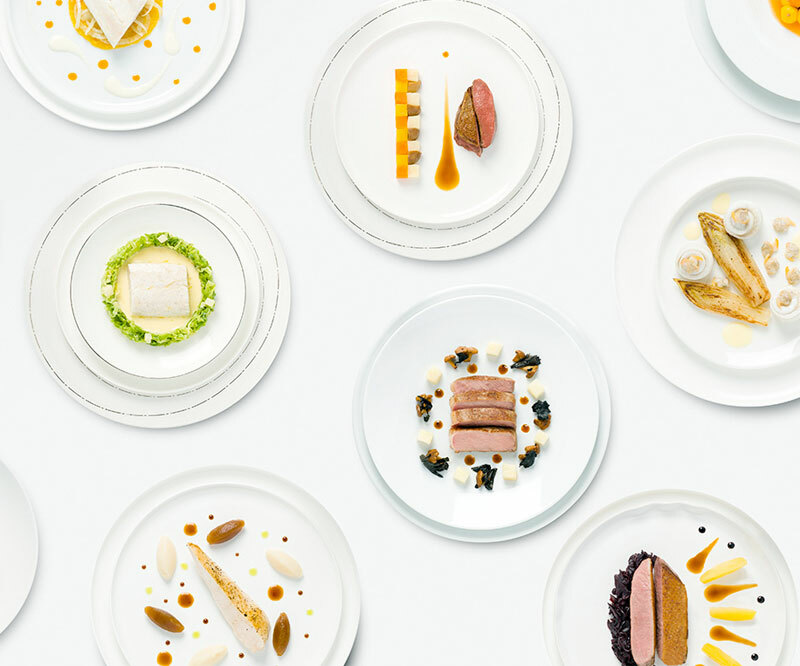 (Her 3 Michelin star restaurant, Maison Pic, happens to be pretty close to where we live (about an hour away) although I've never been because it's 3-star = expensive ^_^;) She is behind this new product and service called ChefCuisine. It's basically meals prepared under her supervision, that are delivered vacuum packed - i.e. in sous vide packets - and they are meant to be reheated in a dedicated sous vide machine. 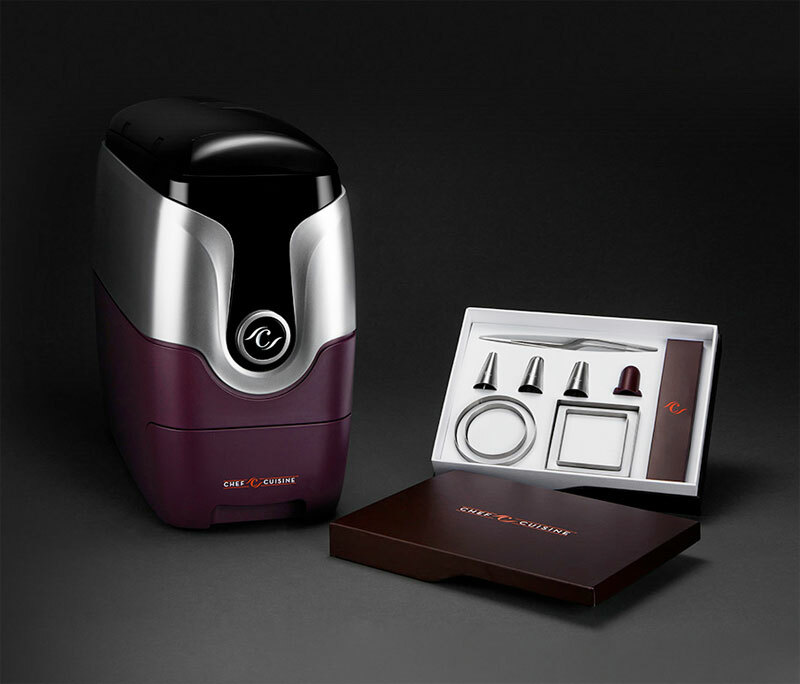 The machine, which comes with a plating kit, costs 199 euros. 30 meals are offered so far - appetizers and main course meals, no desserts. (I guess there aren't that many desserts that need sous-vide-ing...) An appetizer or soup costs 5 to 6 euros, and a main course dish costs 8 to 16 euros. It looks like the dishes offer will be very seasonal - at the moment for instance there is a cream of chestnut soup, scallops, and so forth. 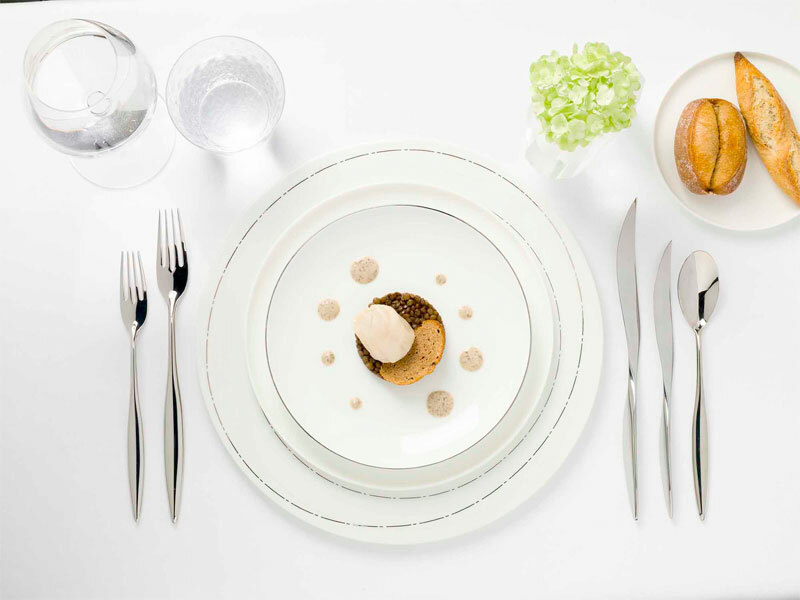 Here's one example, scallop with lentils or "St-Jacques lentilles: Noix de Saint-Jacques au beurre demi-sel, ragoût et velouté de lentilles aux épices douces". The meals are not cheap, but if they are really top-restaurant quality it is less expensive than going to the actual restaurant. The problem with prepared meal delivery services is that at the last step, it has to be reheated and finished by the recipient, which may affect the results greatly. So, I guess the dedicated sous-vide machine is key to ensuring that the dishes are properly heated. You do need to plate each one up yoursel so the plating kit is a nice addition (I kind of want the kit by itself), but again it probably needs some dexterity to use properly. I admit I'm rather intrigued...although it would be far better if you could use the machine for your own sous vide packets, which (as far as I can see from looking through the site briefly) is not possible. As it stands, that's a single-purpose piece of kitchen equipment with a vengeance.But still, I'm curious as to how well the machine works, how good the food tastes, and above all, whether this method of delivering food is going to take off. Here's a video with Chef Pic introducing the service. What do you think? Would you try this kind of service, or is it too expensive, complicated, etc.? Submitted by maki on 2015-10-29 15:26. No way. Sounds like far too much trouble. Just have fishfingers. I think you probably have to be French for this service to seem fathomable. Young Parents with a budget ? I , like you am intrigued. Any source of new good quality food is always of interest, but I'm struggling to imagine me using this service. s- o I sat down and thought about why I go out for meals, instead of cook myself. Convenience, quality, occasion, plus price is always a factor. Convenience - this is more convenient than going to a restaurant - but you still have to do 1/2 the cooking and serving and washing up yourself - not sure this is going be my first choice for saturday night. Quality is the big question mark. I’m sure the chefs and ingredients are great, but - a whole meal cooked sous vide style - I'm honestly not sure what that would be like. Plus no desert or coffee would be abit disappointing. Occasion - My home is lovely , but sometimes it’s a better “event” to go out. Price I can cook reasonable well , so purely based on a restaurant pricing mechanism , I can eat restaurant quality food at home for 1/3 the price , a chef has to charge to cover his staff costs , and his premesis costs. Granted I can't cook at Michelin starred level - so this gets a tick for this. Plus the sous vide machine at Euro 200 is a big barrier to entry. Would be a lot more appealing if I could use the machine for my own sous vide cooking. You would have to use the service several times to get your money back from eating out. Maybe its appealing to young parents who have to stay in , but still have an appetite and budget for Michelin start food. How big is that market? I'd be worried about the whole heating in the plastic thing.... Couldn't find anything conclusive about souz vide in particular, but this summarizes research that points to it being a possible concern. I just discovered your blog today by chance. I am an expat too, having lived in Japan, China, Greece, US, and now UK. I miss Japan a lot, especially the everyday cooking you don't find in the restaurants, so your blog will be well read. And I could write a blog about cooking western food in a remote area of Japan in the 90s! Anne Sophie Pic is the head chef at the Beau Rivage Hotel here in Lausanne. She was meant to open a restaurant in NYC but I read that it was delayed because of building or other permits. Do you think she just gave up and started something in France? Years ago very famous chefs would do sort of the same thing but freeze the dish. Then they all stopped which is too bad because the food was great. I too have never gone to Pic's restaurant (which is pretty much next door to me). I have always been told that the food was not good and the prices ridiculous. Maybe she will do better on this next endevour. Or how about a food truck - all the rage everywhere!